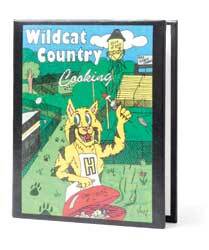 Try this rib rub recipe from Wildcat Country Cooking the next time you’re in the mood for some tasty ribs. Place all the ingredients in a food processor or spice grinder, and pulse until the spices are well blended. Remove the large pieces of sun-dried tomatoes, if using. Store in an airtight container for up to 3 weeks. *To toast the cumin and coriander seeds, place a small skillet over medium heat. Add the seeds (do this in separate batches) and toast, shaking the pan occasionally, until the spices are fragrant, 2 to 4 minutes. Transfer to a heatproof bowl to cool completely. To toast the dried chipotle peppers, place them in a dry skillet over moderate heat for 1 to 2 minutes, watching carefully so they don’t burn.